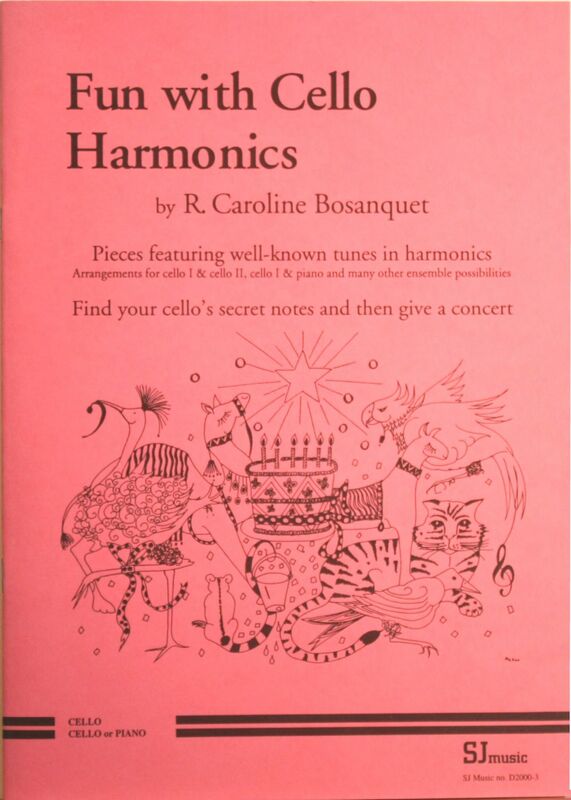 This book is ideal for teaching harmonics to intermediate students. Exercises introduce the harmonics found in different positions, and the book includes eleven well-known tunes. These are provided with either a cello duet part or a piano accompaniment, giving flexibility for teaching styles, and also performance. There are also easy to understand explanations as to how to find the harmonics on the cello. Caroline Bosanquet teaches cello, musicianship and other academic courses at Anglia University in the UK. She has written many articles on cello-related subjects.